An anti-white supremacist, working class intellectual and activist, Theodore W. “Ted” Allen was one of the most important thinkers on race and class in the twentieth century. 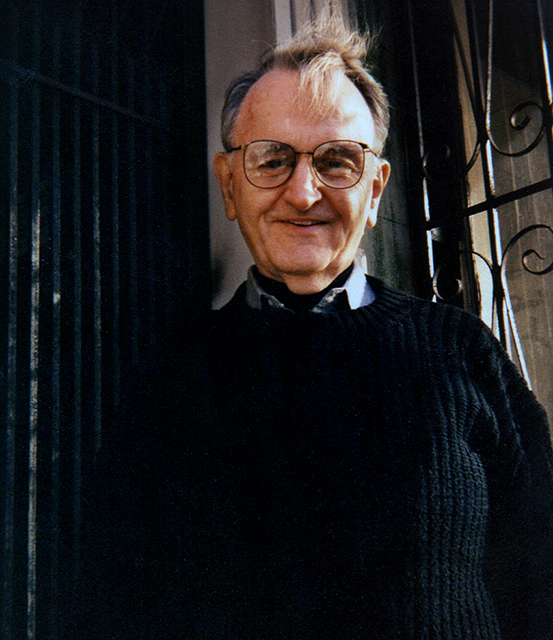 He developed his pioneering class struggle-based analysis of “white skin privilege” beginning in the mid-1960s; authored the seminal two-volume The Invention of the White Race in the 1990s; and consistently maintained that the struggle against white supremacy was central to efforts at radical social change in the United States. Born in Indianapolis, Indiana, Allen was raised in Kentucky and West Virginia, where he was “proletarianized” by the Great Depression. A member of the American Federation of Musicians and the United Mine Workers, and a member of the Communist Party, Allen moved to Brooklyn after injuring his back in the mines, and spent the last fifty years of his life at various jobs including factory work, teaching, the post office, and the Brooklyn Public Library. In the 1960s, having broken from the Communist Party, Allen set out on his own independent research course. Inspired by the work of W. E. B. Du Bois he wrote on the “white blindspot” and “white skin privilege” and began what became forty years of work focused on white supremacy as the principal retardant of class consciousness among European-American workers. Over his last thirty years, Allen wrote hundreds of published and unpublished articles and letters challenging white supremacy, capitalist rule, sexism, and U.S. Imperialism, as well as numerous poems. The Theodore W. Allen Papers are a comprehensive assemblage of correspondence, published and unpublished writings, audio and video materials, and research by one of the major theorists on race and class of the twentieth century. The Papers offer important insights on the Old and New Left and their relation to the labor and Civil Rights/Black Liberation Movements and have much to offer students, scholars, researchers, and activists.